Today we’re going to show you how to get music on iTunes, Amazon MP3, Napster, Spotify, and a whole load of other online music stores using Songcast (Free to create a account). We’ll also look at what you need to do once you get your music on these sites, and how to make the most of your music being on iTunes in terms of making more sales. If you find this guide useful, please share it on Facebook, Twitter, Google+ and the like. What Are Some Of The Platforms You Can Sell Your Music On Using This Online Music Distributor? What Are Some Other Digital Distributors Your Could Use? 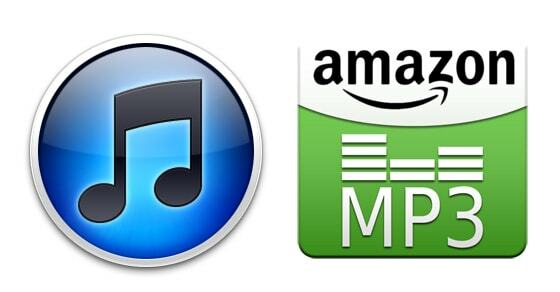 In all honesty, getting your music on iTunes and the Amazon music store is very easy to do. All you need to do is create a Songcast account using the link above, and they’ll pretty much guide you through the rest. Songcast is a online music distributor that distributes your songs to all the big online music retailers. It allows you see all your stats and sales in one place, and pays you monthly for any royalties you make. Simple right? This is only done once, and they handle everything else such as file conversions and sending your music to all the different sites from there. This is much easier then going round to each online shop yourself and submitting your information and songs each time. What’s more, it also means you get paid out a lot quicker too. 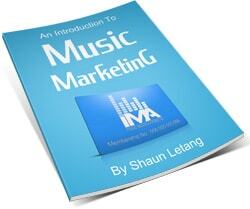 And that’s how to sell music on iTunes and Amazon MP3. Simple right? You can get started with creating an account now and uploading your music right away. While you’re uploading, you should also check this guide on how to get your music on Shazam. OK, so we know that Songcast is good, and is probably the best way to easily get your music on iTunes. But what other online music websites can it get you on? Well while this isn’t a complete list, here are some of the bigger stores you can sell your songs on using this online music distributor. Getting your music on all these sites doesn’t require any additional effort on your part, but it increases your reach and exposure. The more chances people have of finding you, the better. That said, once your music is on these sites, you should only personally focus on promoting your music on one or two of them. We’ll look at why this is later. While Songcast is a good option to go with, there are a few big digital distributors around. Each offers different features, so have a look and see which is best for you. Before I go any further and look at what needs to be done to effectively sell your music on iTunes, I want to quickly look at why selling your music on iTunes particularly could help increase your sales. While it’s not hard to do, getting your music on iTunes can provide you with a load of credibility in people’s eye. Many don’t know that it’s incredibly easy to get on iTunes, and give you more respect if you manage to do it. This respect will lead to them being more likely to listen to what you have to offer, and will in turn make you more sales. Believe it or not, a lot of people are still wary about ordering things online. They may only order from bigger companies they trust, and may not want to order from smaller sites that they know little about. As I’m sure you know, Apple iTunes is a big and well respected digital download provider. Giving people the option to buy your music on here will mean you could potentially save sales from people who don’t feel comfortable buying directly from your site. Those of your fans with iPhones and iPods will be accustomed to buying music through iTunes. As there is a huge amount of people with these devices, it makes sense to provide for them. 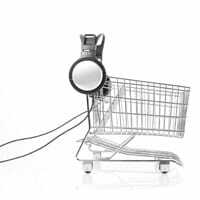 Any barrier you put between the customer and your music could potentially lead to the loss of a sale, so make the process as simple as possible for people. Another great thing about selling your music on iTunes is people get to preview your song before they buy it. This leads to customers having a much better idea about what they’re buying, and allows them to buy with more confidence. This, as long as you’re providing a good quality product, will once again lead to more sales and less refunds. So you thought just because you songs are now on iTunes, Amazon MP3 and all the other big online music retailers, that your going to sell a load of digital downloads right? Wrong!!! You see, getting your music on iTunes is just the beginning of things. What some people don’t understand, is while having your song on iTunes can help give you a lot more exposure, you still have to do the majority of promotion for yourself. Think of how many musicians already have their music on iTunes, and how many are using Songcast to get it up as you read this. Do you think Apple is going to have the time or resources to promote every one of those artists? No, they don’t. They do feature some acts on their front page and on other places throughout their site, but this is usually people that have initially done their own promotion and are making a decent amount of sales already. If you want to make sales once your music is on these sites, you still need to promote your songs in the same way you normally would. You need to link to your iTunes account from your site (Or whichever main one you want to promote), share the link in your newsletter, and generally get it out there for your fans to see. You should also promote yourself in terms of music videos, gigs, appearances and the like. This will lead to more people looking for information about you, and finding you on one of these online music stores. Getting your songs on iTunes isn’t a magic formula that will mean you’ll instantly start selling a load more digital downloads, but it can help increase song conversions if you promote your music once it’s on there. Because of this it’s definitely worth doing, but just make sure you still put the work in to get your songs out there. I briefly mentioned above that you should link to your page on one of these digital download stores from your website. If you haven’t already got a website, you can learn how to create a professional looking music website quickly and easily here. Once you do have your own website, here are some places you should place a link to your external online music store. Please remember to only link to one of these shops (Probably just iTunes) so you increase the sales in that shop and have more chance of getting more exposure. 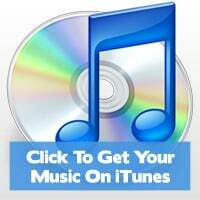 The most important place for you to add a link to your iTunes store is on your shop page. You should include this alongside your ‘buy now’ buttons, and any other merchandise you are currently selling. People that visit your shop page are interested in maybe buying something, so if you combine that with allowing people to buy your music in one of the easiest ways possible, your conversion rates will go up. If one of your main aims is to make direct sales, you can include a link to buy your songs on iTunes in your website’s sidebar. A good idea is to have an image of one of your albums or singles, and also a call to action such as ‘Buy Now On iTunes’. Be sure to include the official iTunes logo, as people will recognize this and be more likely to take notice. As well as linking to your personal iTunes store directly from your website, you could also include a link to it in your newsletter. You can do this by including it within your newsletter template, as well as mentioning it during general emails. This can help remind people where they can buy your music from, and makes it conveniently ‘in reach’ when they are ready to buy. Just make sure you don’t force buying something down their throat. 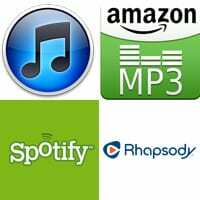 Getting your music on iTunes, Amazon, Spotify, Napster and Rhapsody isn’t hard to do. You simply need to use a digital distribution service such as Songcast (Free to create a account) and they do all the hard work for you. Once you get your music on these sites however, it’s up to you to spread the word about your music. Your songs won’t sell themselves, so be sure to raise awareness of your music if you want people to go on these sites and buy from you. Good luck. 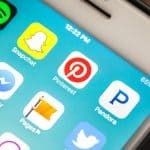 If you found this article useful, please share it using the social networking buttons below. CD Baby vs Songcast vs TuneCore, Which Is Cheapest? Will this work with recorded messages? Like speeches and sermons? Or can you point me in the right direction… I am trying to market and sell recorded motivational speaking. Because I use them for my clients (Who are musicians) not myself. I’ve had literally 1000s of musicians who have signed up to them through my recommendation, and I’ve never had one complaint. That said, if you don’t feel comfortable using them, that’s fair enough. Nice post… Great work… This is very great idea to sell music on itunes. This post is very beneficial for my brother because he is doing work in this line. Good stuff, I hope your brother finds this info as useful as you do!